After an hour of fun on the ice rink, these girls have treated themselves to some candyfloss. 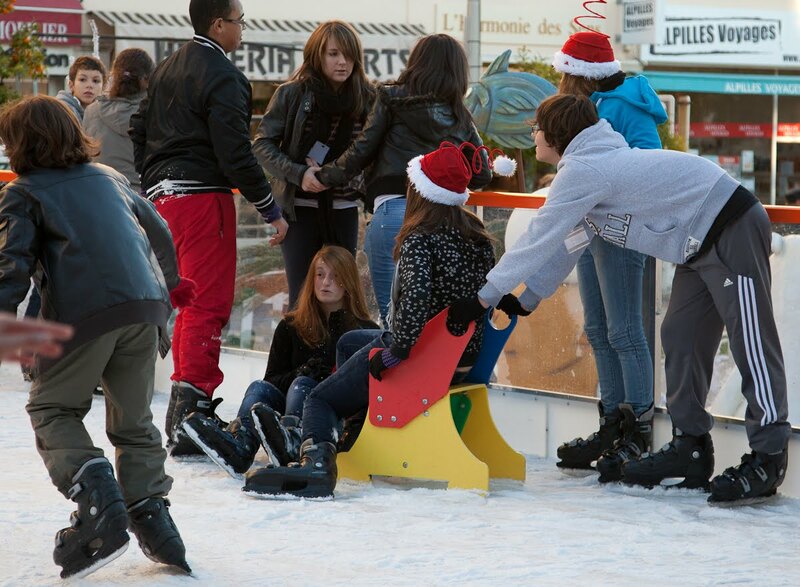 Après une heure de plaisir sur la patinoire, ces jeunes filles se sont offert une barbe à papa. Their Santa hats are a bit unusual. Oh to be young, what fun they've been having, nothing like hanging out with friends. At their age, they think they can eat that stuff and stay skinny forever. Little do they know . . .